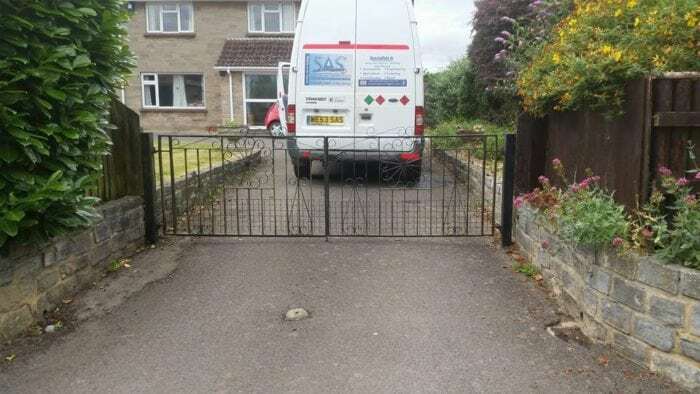 SAS recently did some Mobile Welding repairs for a customer's gates in Somerton, Somerset. They needed a mobile welder to repair the gates at their home. The gates needed to be rehung due to corrosion. All the hinges were broken off. When we arrived both gates were lying on the ground. We repaired holes in both gates and then welded the hinges back on. We then checked that both gates opened and shut correctly. Finally, we painted all repaired areas to protect and give a long life to the gates. We used our MIG Welder for this job as the gates could be put in the van when being welded. This is much quicker than MMA welding, so saved time (and money for the customer). The customer was delighted with the gates, and said they would be happy to recommend SAS Welding Services following our Mobile Welding work.